FRESH! Butterfly earringsThere is 1 product. 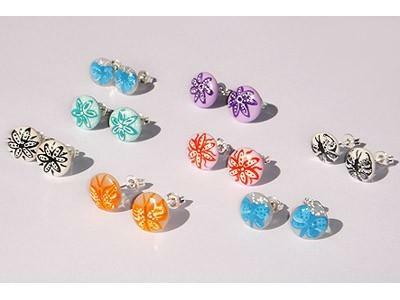 Butterfly earrings is lovely, handmade jewelry for women, which is handpainted and handcrafted. Handpainted butterfly earrings are lovely, elegant and cute handmade gifts for women, since they come in variety of spring and summer colors and they are small enough to fit even younger women. Butterfly earrings are made from skin friendly materials and go wonderful together with modern spring and summer clothes.